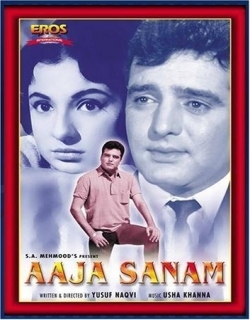 Aaja Sanam is a 1975 Indian Bollywood romance, social film released on Jan 01, 1975. 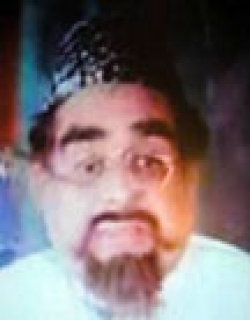 The film is directed by Yusaf Naqvi. Hunting, the ruling passion of Satish, a medical student, brought Shanti into his life. Shanti was living in a remote locality with his father. They fell in love with each other and then a set of unavoidable circumstances separated them. Satish had to leave abruptly due the sudden illness of his father while Shanti was left alone in this cruel world due to the death of her father. They were destined to meet again but in strange circumstances. Shanti, in trying to locate a relative, came in contact with Kamni, the daughter of a rich man. Kamni was engaged to be married to Aroon, a boy friend and the preparations were in full swing. The boy died in air crash and Kamni found herself pragnant with the child of Aroon. Shanti came to her rescue. They went hill station and returned after the delivery. Shanti posed herself as the mother of the infant. At this stage Shanti met Satish. Satish was practising medicine in this same town and came to the house of Kamni in connection with the treatment of her mother. The lovers met but when Stish discovered that Shanti had become the mother of an illegiimate child his heart broke. Shanti could not put Kamni in an impossible situation. 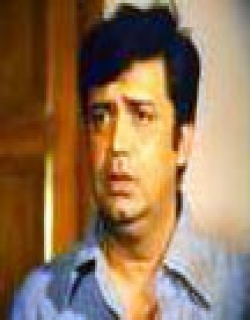 Kamni did not know that Shanti and Satish were old lovers. At this stage Kamni’s parents decided to marry Kamni to Satish. Satish accepted this proposal, Satish never knew that he was going to marry the girl who was already the mother of a child and it was the same child whose mother was supposed to be Shanti. Shanti and Satosj meet, fall in love and are separated from each other due to circumstances. With the death of her father, Shanti comes to the city, befriends Kamini and agrees to look after her lillegitimate child Satish, who in the meantime had become a doctor meets Shanti, and after his doubts about the parentage of the child are cleared by Kamini, takes Shanti as his wife. Check out this page for more updates on Aaja Sanam. 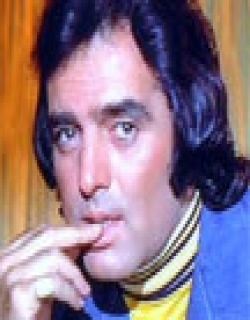 This page provides latest and updated information about Aaja Sanam (1975) movie which released on Jan 01, 1975. Aaja Sanam (1975) is directed by , produced by , starring .We have also provided 0 trailers and videos, 4 photos, 0 user reviews, and 0 critic reviews.You can review, like, dislike this movie and also can add to favorites. You can also find information on showtimes, CDs, DVDs, online rental, online free watching.